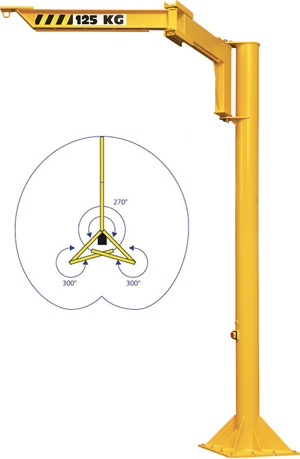 Appropriate for an indoor or outdoor use, this articulated jib crane has a very reduced headroom. His first arm can rotate 180 degrees and the second 300 °. The articulated structure facilitates the movement of loads in a cluttered environment. This model is restricted to only manual rotations.